Resort fees can be quite deceiving. Hotels do not include them in their rates and they are collected at check out. Many people get upset with this “hidden” charge, although it is mentioned at the time of booking. So what is a Resort fee and what is included? Resort fees are just another way for the hotel to make money without showing an increase in rates. These nightly fees start showing up after 2010 in most hotels. They basically justify by saying you get free internet access, daily newspaper, and perhaps fitness club or spa access. Tip: Just add the resort fee to your room rate when comparing prices. You can basically justify it as being an increase in the price of the room and not a resort fee. You might up end concluding that a particular hotel is cheaper than you thought. The problem with resort fees is that they are required regardless if you want any of the extras that come with it. Most hotels include complementary internet access as part of the resort fee which might be beneficial to some but not at the rate of some hotels that have at $30 per day resort fee. Typical internet access would be around $10 per day. As you can see it is nothing special and not worth $10-$25 per day for. See below for fee prices and what is included with each. There are only a few hotels without resort fees. Remember to factor in the savings per night when comparing to hotels that have resort fees. you will see these fees displayed usually along with the taxes during checkout so your total will seem much higher than just the room rates. Bellagio $39.00 Property-wide high speed internet access (public spaces and in-room), unlimited local and toll free calls, airline boarding pass printing, notary service and fitness center access for guests 18+. 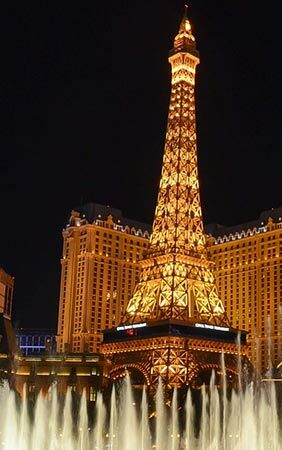 Delano Las Vegas $37.00 Property-wide high speed internet access (public spaces and in-room), unlimited local and toll free calls, airline boarding pass printing, notary service and fitness center access for guests 18+. Encore $39.00 in-room internet access, unlimited local and domestic long-distance calls and two fitness center passes per day. Excalibur $35.00 Property-wide high speed internet access (public spaces and in-room), unlimited local and toll free calls, airline boarding pass printing and fitness center access for guests 18+. Golden Nugget $29.50 access for two to the Fitness Center daily (does not include the wet areas), basic, in-room daily Internet access for 2 devices daily, two bottled waters, daily (waters will be located in the guest rooms), complimentary parking, complimentary airline boarding passes printing via the Front Desk or Box Office 24/7, complimentary newspapers in your respective tower lobby from 6am to 10am daily, downtown destination coupons, plus $5 off per ticket for 2 Gordie Brown tickets. Luxor $35.00 Property-wide high speed internet access (public spaces and in-room), unlimited local and toll free calls, airline boarding pass printing and fitness center access for guests 18+. Mandalay Bay $37.00 Property-wide high speed internet access (public spaces and in-room), unlimited local and toll free calls, airline boarding pass printing, notary service and fitness center access for guests 18+. Mandarin Oriental $39.00 internet access for up to six devices, Fitness & Wellness Center Access (2 passes daily), morning coffee or tea (6-10am) and unlimited in-room local and toll-free calls. MGM Grand $37.00 Property-wide high speed internet access (public spaces and in-room), unlimited local and toll free calls, airline boarding pass printing, notary service, and fitness center access for guests 18+. Mirage $37.00 Property-wide high speed internet access (public spaces and in-room), unlimited local and toll free calls, airline boarding pass printing, notary service and fitness center access for guests 18+. New York-New York $37.00 Property-wide high speed internet access (public spaces and in-room), unlimited local and toll free calls, airline boarding pass printing and fitness center access for guests 18+. Palazzo $45.00 access for two to the fitness facility at the Canyon Ranch SpaClub, in-suite Internet access (Wi-Fi or Ethernet), boarding pass printing at the Concierge desk, unlimited local and toll-free calls, daily newspaper, and a two-for-one drink coupon for well drinks, domestic beer, or wine at any casino bar. Park MGM $37.00 Property-wide high speed internet access (public spaces and in-room), unlimited local and toll free calls, airline boarding pass printing and fitness center access for guests 18+. Plaza Hotel $18.00 self/valet parking; early check in (based on availability); baggage storage (gratuity not included); in-room internet; local/800 phone calls; fitness center admission; 2 bottles of water per day; boarding pass printout (maximum of 2 per room); notary service; complimentary airport shuttle drop off service (based on availability); and Plaza Perks (our property coupon book valued over $300.00). Polo Towers $28.00 WiFi, rooftop pool and hot tub, children's splash pad, BBQ grills, fitness center, free local calls, business center computer/internet and boarding pass printing. Stratosphere $33.00 Daily unlimited admission to the Stratosphere Tower; Unlimited admission to the Stratosphere Fitness Center during stay; Unlimited admission to the Resort Pool; Daily in-room Wi-Fi access for up to three (3) devices per room; In-room local and 1-800 calls; All-Day Thrill Ride Pass for the discounted price of $28; 2-for-1 discount for tickets to see PIN UP; $20 discount for SkyJump; 25% discount for tickets to see MJ LIVE; 50% discount for tickets to L.A. Comedy Club; 2-for-1 Drink coupon valid at any Stratosphere-owned Bar. The D $20.00 free high speed Wi-Fi access, access to fitness center, $10 off the D Showroom tickets and free local and toll-free calls. Tropicana $35.00 guestroom Internet; fitness center access; parking; Happy Hour drink specials; discounted tickets to award-winning shows; 2 bottles of water per stay; select business services. 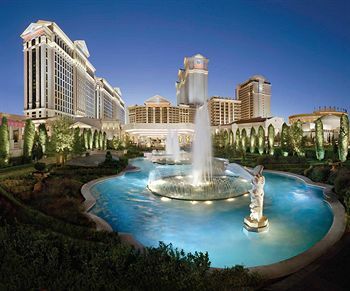 Trump $35.00 internet access, shuttle to and from The Forum Shops at Caesars Palace and Wynn Las Vegas, access to the fitness center, in-room coffee and bottled water, daily newspaper, shoe shine service and unlimited in-room local and toll-free calls. Vdara $39.00 Property-wide high speed internet access (public spaces and in-room), unlimited local and toll free calls, airline boarding pass printing, notary service, and fitness center access for guests 18+. Wynn $39.00 in-room internet access, unlimited local and domestic long-distance calls and two fitness center passes per day.